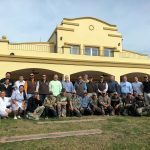 Malalcue Lodge has been in Argentina’s Best Hunting family for over 20 years and has proved to be an outstanding lodge combined with the best mixed bag available in the area. 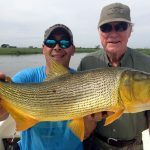 Located in the province of Corrientes and by the river, this lodge counts with 6 rooms and 5 bathrooms and gives the guests the chance to book a private lodge with only 6 guests. Here you can enjoy the Spa after every hunt, gourmet meals, the best Argentinean wines and a mixed bag hard to find in other places. 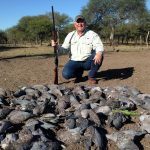 Our mixed bag proposal has 5 nights at Malalcue Lodge and 5 hunting days where you will be able to enjoy a few morning duck hunts with a limit of 25 per person, have fun with the dogs at a partridge hunt with a bag limit of 8, the outstanding limitless dove hunts why Argentina is well known of around the world and 2 full days of unlimited pigeon hunting. 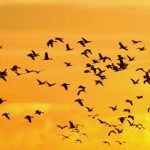 The lodge being in our family for so long has given us the chance to have the best hunting fields in the area and also the closest, so we offer excellent hunts at a short drive distance. 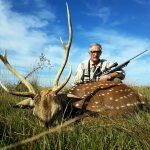 At Argentina’s Best Hunting we like to give the best service to guarantee you will not only embark yourself on a hunting trip, but to give you the best hunting vacation ever. Season starts May 1st and ends August 31st, check 2017 available dates on our occupation calendar! Available dates may vary, confirm with our sales representative.